Rescue Pigeon is an Android application that utilizes the phone’s current Bluetooth technology to emit a distress signal if the phone user is ever stranded or stuck somewhere without sufficient enough cell phone coverage. 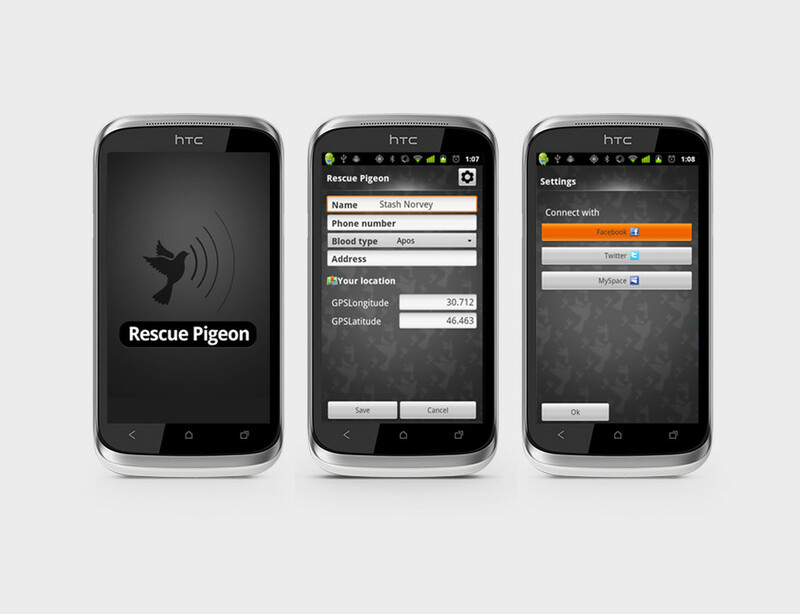 Rescue pigeon is also equipped with a chat function that allows you to chat with your rescuer. Read more about our application development process. Once you reach a secure area, you can update your social networks via Rescue Pigeon, sending a pre-formatted message letting your family and friends know you're safe and sound.